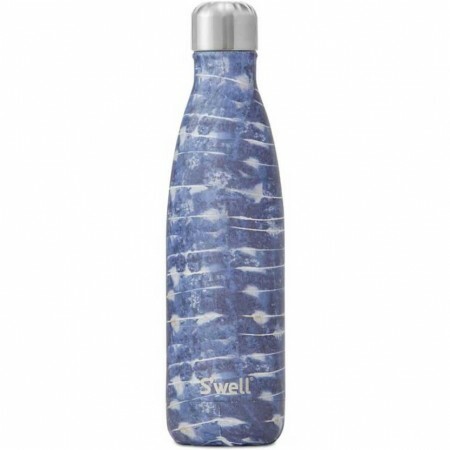 S'well insulated water bottles are sophisticated enough for the boardroom and tough enough for a mountain hike. Keeps contents cold for more than 24 hours and hot for 12 hours. Inspired by indigo dyed fabrics, Ornos has a unique blue colourway and a matte finish. 500ml capacity. Hot liquids stay piping hot for 12 hours - take care when drinking hot liquids from the bottle. Triple wall construction prevents condensation and ensures insulation. 25.5cm H x 5.5cm D (at widest point). 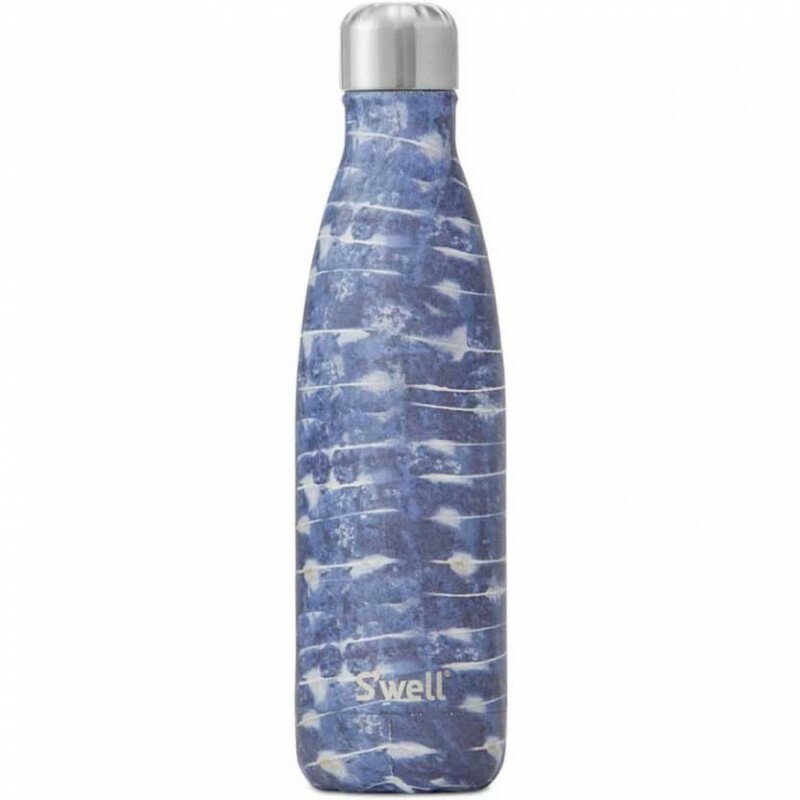 18/8 Stainless steel, BPA free plastic lid inner with silicone seal.